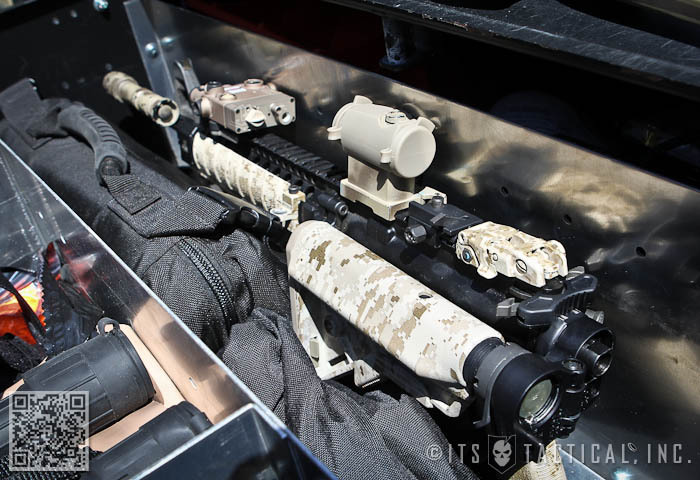 If you haven’t heard the term “Tactical Pen” yet, you just have. While Tactical Pens have been hitting the mainstream tactical market for a few years now, today I’d like to address some of the myths behind them. Not only why they can get you into trouble, but why an overpriced writing utensil simply isn’t necessary. The most distinguishing feature of any Tactical Pen is its all-metal body, whether that’s stainless steel, aluminum or titanium. Other features often include a blunt end for use as a Kubotan in self-defense situations, sharp pointed end, or even a glass breaker tip. Why have a pen at all for self defense? 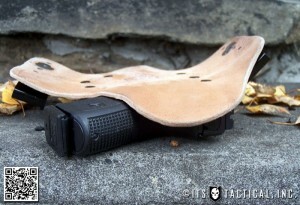 You certainly can’t always carry a gun, even if you have a license to carry concealed. You also can’t always carry a knife, which leaves you with what your mother gave you and your level of training. Will having an improvised weapon like a Tactical Pen improve your odds in a self defense situation? It definitely can’t hurt, but what can is carrying an overt Tactical Pen. Let me pose this question to all those owners of Tactical Pens out there, do you really want everyone to know what you’re carrying? They’ve become too mainstream to not at least get a second look from someone; even if they might not know what it is, they’ll still wonder what that huge pen you’re using is. Just as you don’t want your concealed carry weapon to print, why would you want to let the clerk (and those around you) know that you carry a tactical pen and “might” know how to use it? Is a glass breaker handy to have on your pen? Possibly. More so if you’re frequently riding around in vehicles that aren’t yours and don’t have a glass breaker, like you should already have accessible in your vehicle. A metal belt buckle makes a good glass breaker too. To address the Kubotan usage of a Tactical Pen for self-defense and pain compliance, I’ll argue that cost-effective metal-bodied pens can inflict the same amount of damage. 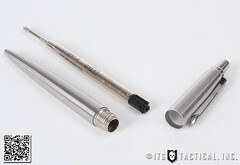 Anyone familiar with Kubotan usage should also know that many everyday items can be improvised to act as a Kubotan, it doesn’t take a $100 Tactical Pen. Something you should also take into consideration in carrying a Tactical Pen is the legal aspect. While it might not be illegal to carry a tactical pen, it would sure be harder to prove a case of self-defense when a lawyer is describing exhibit “A” as an impact weapon purpose-built to inflict pain. He’d have a much harder time convincing a jury that your office depot pen was purchased with that intention. That’s the same way I feel about knives and their use in self-defense situations. You’re going to have a hard time convincing a jury that your aggressive-bladed knife with the skulls is pure utility. 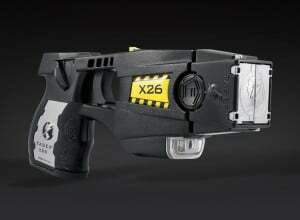 On the other hand, a Swiss Army Knife or CRKT folder is more convincible as a utility knife. 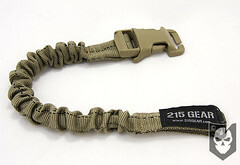 I’m totally guilty of this one though as I carry an Emerson Commander with a skull clip! There’s also something to be said about flying with a Tactical Pen. 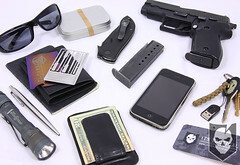 With TSA just looking for a reason, there’s the possibility you may not just get it confiscated (as they’re listed as prohibited), but get issued a criminal summons for carrying a concealed weapon like this guy. Metal-bodied pens are nothing new in office supplies and I’ve been carrying a Stainless Steel Parker Jotter for the better part of 10 years. Yes, I’ve lost mine a few times, but buying a replacement at most office supply stores for $10.00 makes a hell of a lot more sense than replacing a Tactical Pen costing 5 to 10 times more than that. Cost and the ability to use the Jotter as an improvised weapon isn’t the only benefit, they’re sturdy, strong and also write exceptionally well! I prefer to use the “fine” refill, as I feel it writes better, but that’s just personal preference. The “medium” cartridge that comes with it writes great as well. The refills are also less than $5.00. 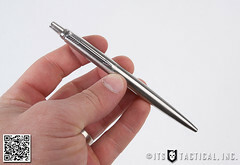 Fisher Space Pens are also something to look into as well for a low-cost “tactical pen.” You can’t beat the ability to write in water, heat, cold, upside down and in 0 gravity environments, since most of you reading this commonly travel into space. I’m joking of course, I really do like Space Pens. My hang-up with Fisher Space Pens is that they can be more expensive than a Parker Jotter and they’re not as readily available. I have been seeing them more and more in office supply stores, but it’s often the smaller sized Bullet or the Cap-o-Matic. I also feel they don’t write as nicely as the Jotter and often leave breaks in the lines. I’ve tried their “fine” refills too. One of the things that drew me to the Parker Jotter is the clicker tailcap which I’ve found doesn’t get depressed easily like some others I’ve tried. I also personally like clickers because you don’t have to remove a cap to write with them. Be careful though, as some clicker pens with weaker mechanisms will leak in your pocket from an accidental press. One last thing that I like about the Jotter is that it weighs half an ounce! Why some prefer a 4 lb. tactical pen weighing them down is beyond me. What do you like to write with and do you carry a Tactical Pen?